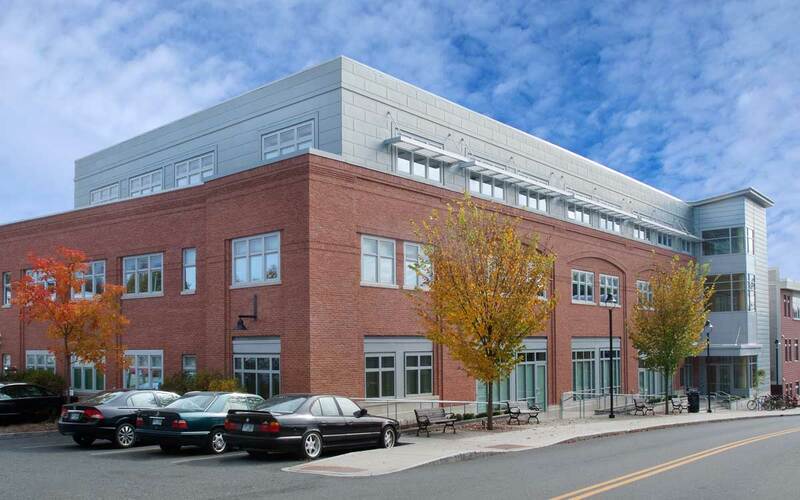 This three-story commercial office building built for Dartmouth College Real Estate is a model for energy efficient, high performance commercial buildings in the Hanover region. From the very beginning of the project, green goals were identified by the owner as a priority for this commercial development. 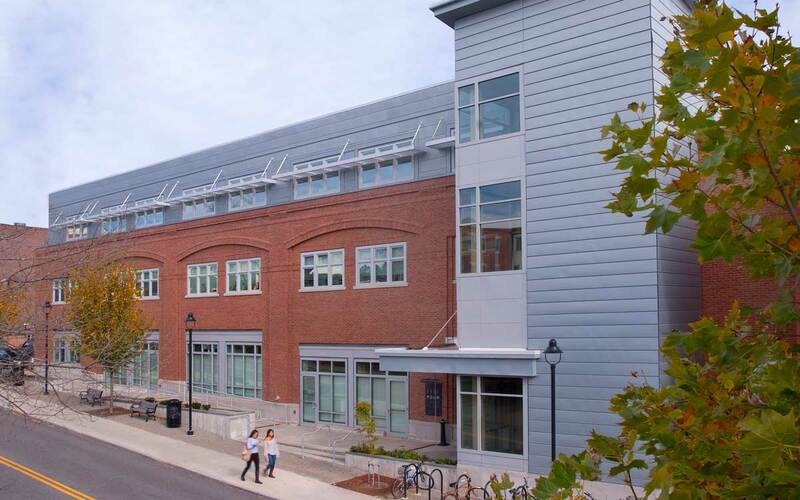 Four Currier Place achieves a high level of energy efficiency through the use of innovative mechanical systems; a high-performance exterior envelope; automated lighting controls; and aggressive water conservation strategies. 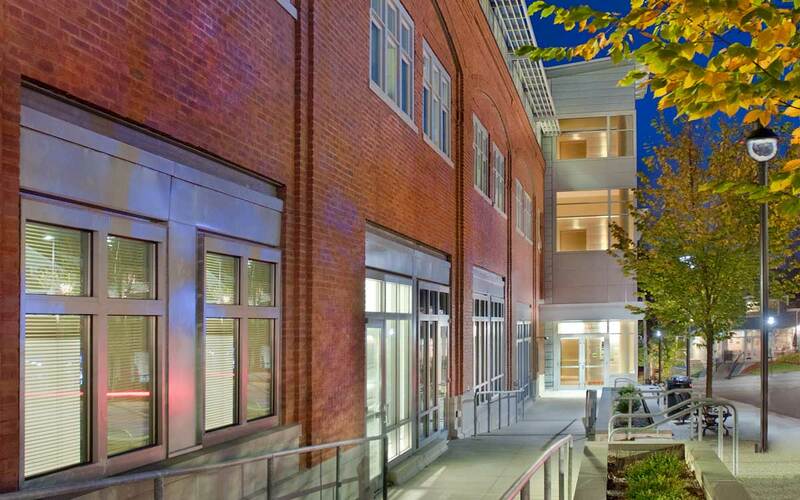 Other aspects of the design that contribute to its LEED Silver certification include the use of healthy, non-toxic materials and recycled or locally produced products. Most of all, the project is designed to be attractive and durable so that it will be around for many generations to come. 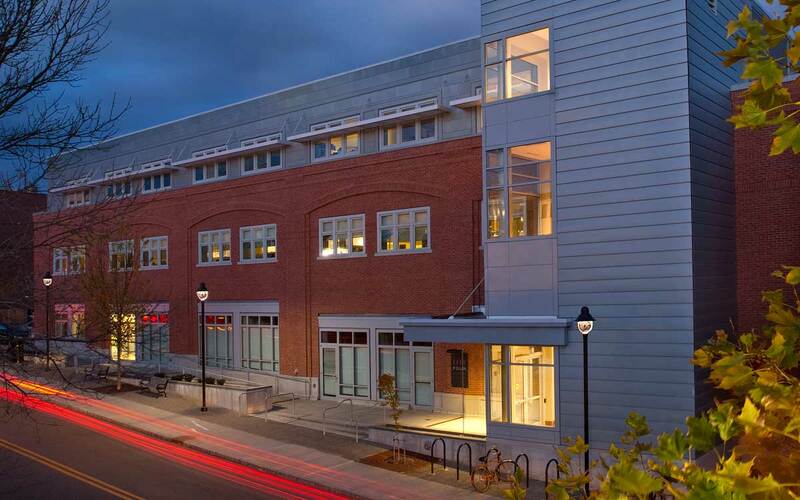 A well-designed building is a good neighbor to the existing buildings around it, and 4 Currier Place makes a positive contribution to the downtown fabric of Hanover, New Hampshire.